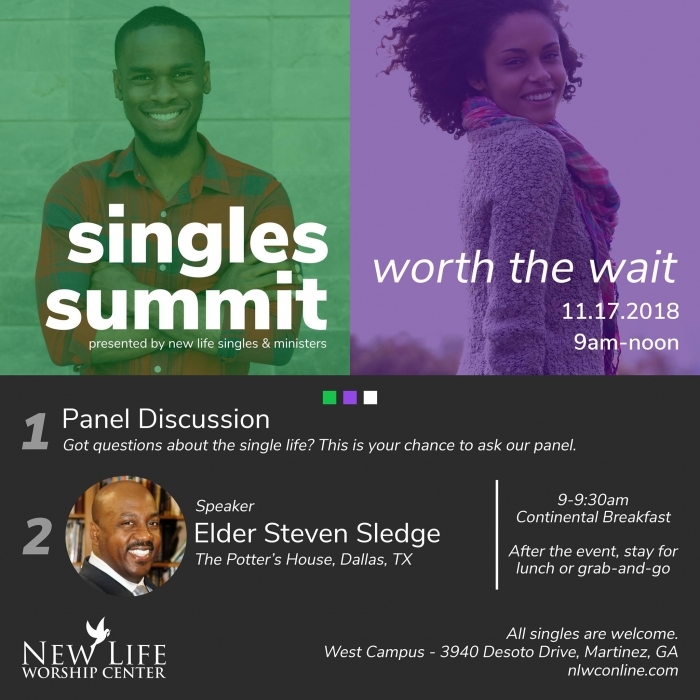 We’re excited about our Singles Summit on November 17th! We’ll have a panel discussion so bring your questions! Then, Elder Steven Sledge of The Potter’s House (Dallas, TX) will be bringing a message just for the singles! It’s happening at New Life West – 3940 Desoto Drive, Martinez, Ga.